You are here: Home / 2011 Grey Cup / Grey Cup 2011 Party Series: Come step into the Lions Den! 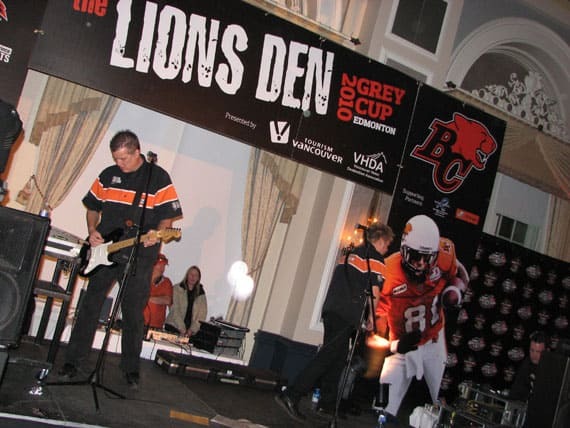 Grey Cup 2011 Party Series: Come step into the Lions Den! Obviously as a BC Lions fan this latest edition of our Grey Cup 2011 party series may seem a bit biased. But I am quite confident in saying that the annual Lions Den party has become a top notch party over the last few Grey Cups. Last year’s event in Edmonton was outstanding and if the information we have heard about the 2011 event are true, there is reason to think it will be the best one yet. Rumour has it the Lions have reserved three rooms at the Vancouver Convention Centre East (Canada Place) and that the event will feature sponsorship from Budweiser, the official beer sponsor of the BC Lions. Admission to the event will be $15.00 at the door and usually features an entry gift, although we haven’t been able to confirm if this will be the case this year. Lions season ticket holders were offered early bird passes that also included priority access, but not guaranteed entry. The Lions Den has a bit of a different feel to it than the other parties such as Spirit, or Touchdown Manitoba. It’s generally held in a smaller venue, although this year will be an exception. In my opinion it’s more like a good old fashioned house party. There is a large contingent of Lions fans present, but more and more fans from other teams are discovering the Lions Den as a great party option. Live music will be present and in past years it has been the entertaining “Two For The Show” http://www.twofortheshow.org/ getting the dance floor hopping and looking at their calendar on their web site it’s a good bet they will be headlining the event again. They are a great cover band who adds some humour to their shows. As for beverages, there will be a selection of Budweiser products as well a selection of liquors and non alcoholic selections. Basic food items will be available for purchase as well. You can expect the lovely Felions dance team http://bclions.com/cheerleaders to make several appearances. 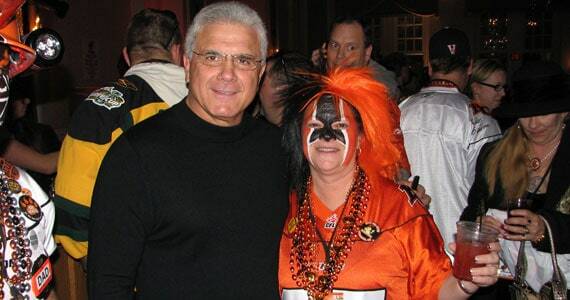 Wally Buono, Dennis Skulsky and owner David Braley usually mingle with the crowd and Lions players and alumni such as Lui Passaglia and Jamie Taras are known to make an appearance or two. In the past The Lions have given away merchandise as prizes throughout the event, and there will likely be a merchandise for purchase area for fans looking to add a bit of orange to their wardrobe. As a fan of the Lions this event is a must, especially as the host city. Your $15.00 pass is good for the night that you purchase it only. If you want to go both nights, you will need a pass for each night. Vancouver Convention Centre East – Exhibition Hall A – Ballrooms A, B & C.
Admission: $15.00 at the door. Must be of legal age to enter. 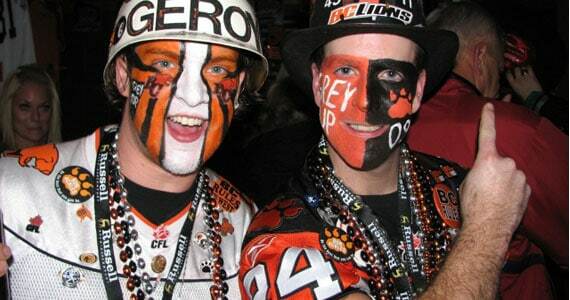 We’ll see you at the BC Lions Den! Look for #99 with the BCLionsDen.ca button and say hello!